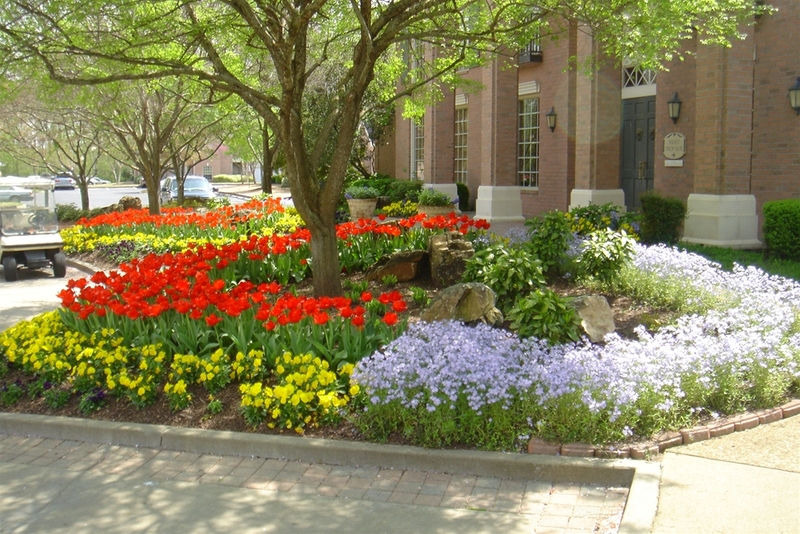 This division, lead by Michael McClain, provides beautiful and functional landscape designs and installations. 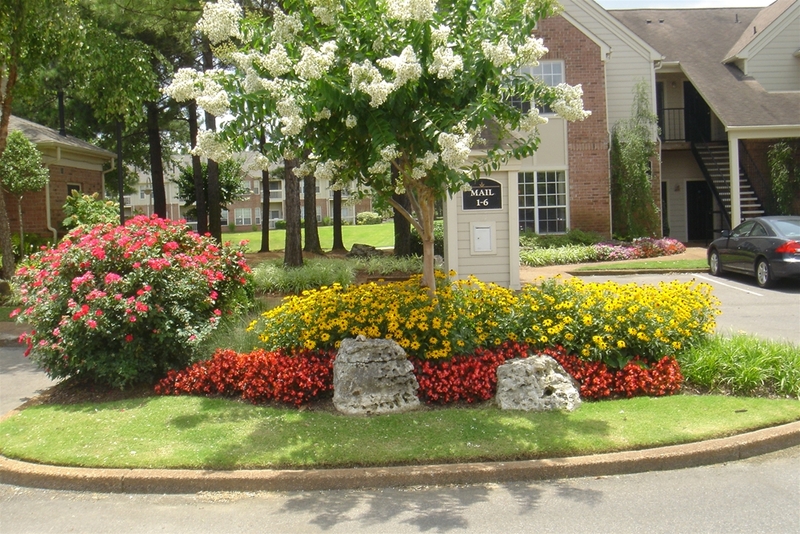 Whether you are building a new house and need a total landscape plan, or just need to add to your existing landscape,Turfmaster Inc. can help. 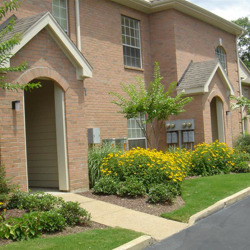 The goal of having a landscape is to enhance the look of your home and create an inviting and enjoyable environment. This can be achieved by the use of properly selected trees, shrubs, annuals, perennials and other plants that suit the site. The addition of pots, planters, architectural pieces and even a water feature can increase the gardens interest and enjoyment. 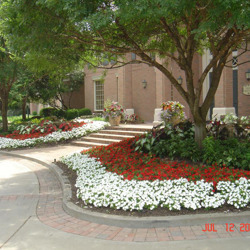 A well thought out plan will determine if your landscape installation will be successful. The first step in the design process is to interview the client on site and have a conversation about their planned use of the space, what features they desire, and how the landscape might influence the dynamics of the household. A good designer will inform the client of any ideas that will or will not work and can work within budgetary guidelines. The build part of the process should keep the client informed of start up date, installation progress, and estimated completion date. Keeping the client involved in the complete progression of the project, insures that misunderstandings are avoided and solidifies the partnership of client and contractor. 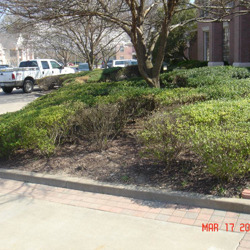 If you enjoy doing the actual work and just need a plan, or you need a completed landscape, Turfmaster Inc. can help. Who said that you can only enjoy your garden during the daylight hours? Now you can enjoy your beautiful landscape day and night with a well-designed landscape lighting system. 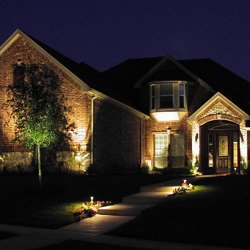 Landscape lighting offers a unique and creative option to display your home and landscape after dark. Strategically placed lights can highlight interesting garden features, accent trees and shrubs, and create dramatic silhouettes. Landscape lighting can also make your home safer and more secure. 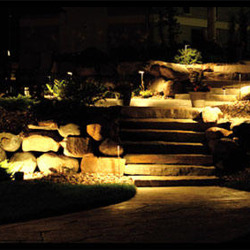 The use of low voltage lighting can greatly increase your enjoyment of your garden in the evening hours. 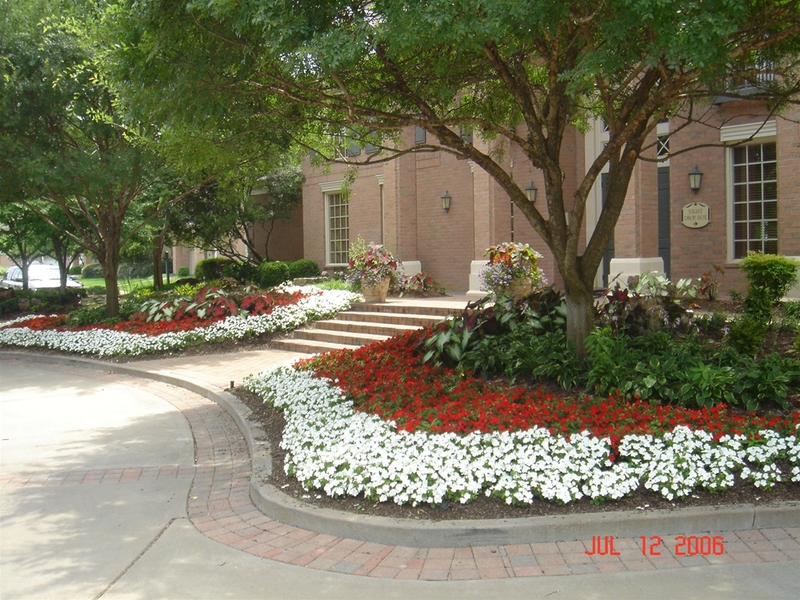 Properly placed fixtures will highlight specific plants or objects and illuminate walls or paths. Overstated lighting can be a distraction and can actually be less appealing than no light at all and should be avoided. A well designed lightscape is equally important as a well designed landscape. 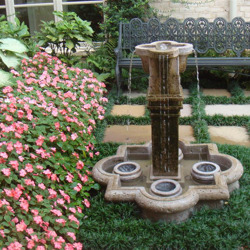 Be it a waterfall, swimming pool, fountain, or a pool of water with a stream and falls, water features can offer a soothing atmosphere within a well thought out garden. 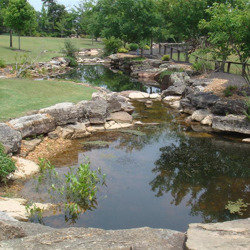 From 1/4 mile long, functioning trout streams to classic Italianate fountains, we can design and install the feature that will enhance the look and enjoyment of any space, large or small. There are several reasons to use plants, fences, or walls for screening and sometimes a combination of one or more materials. 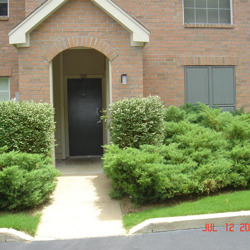 Screens are used to gain privacy, buffer sound, or enclose areas. A site analysis and client interview can best determine the best course of action and offer an aesthetic solution. 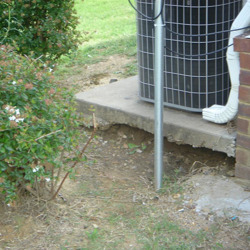 Surface runoff from downspouts or excessive runoff from nearby hardscape or neighbors property can be dealt with as subterranean collection and piping or aesthetically as dry creeks. 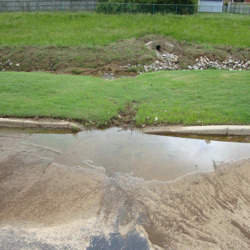 Depending on the location of the problem, several options can be offered to achieve the desired results, which is the movement of water away from foundations to a lower elevation without creating erosion. 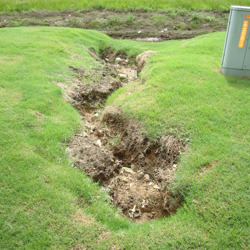 Too often erosion occurs when trees have matured, grass has disappeared, and soil no longer stays put. 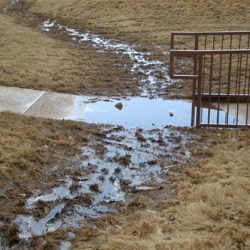 The solution can be achieved through proper site analysis and one or more options can be offered.